Home Weapons Is Tractor Cannon The Best Exotic Shotgun? As it’s ranked #45 in PVP I think we can surmise that Tractor Cannon is not the best Exotic Shotgun, but let’s take a deeper look at it anyway because we really do need to find out just how bad it is. The stats on Tractor Cannon are as follows; 84 Rounds Per Minute, Impact of 65, Range of 19, Stability of 82, Magazine of 4, Reload Speed of 24, and Handling of 46.The hidden stats are; Zoom of 12, Aim Assistance 90, and Recoil Direction of 60. Looking at these on paper, and using them in reality, you can tell that they’re pants. This is honestly not a great Shotgun when it comes down to pure stats, but that really isn’t what makes this an Exotic weapon. The Exotic perks is really fun to play around with, so let’s take a look at the perks list that Tractor Cannon has. The Exotic Perk, Repulsor Force, makes Tractor Cannon emit a powerful impulse that will push enemies away from you. The pulse also suppresses enemy abilities and makes them more vulnerable to Void damage. This is the fun factor of Tractor Cannon, and while it means it’s not the best Exotic Shotgun, it certainly makes it the most interesting. Anyone running with a Void Subclass can take complete advantage here and really rip enemies apart with that debuff effect. The other perks are; Extended Barrel, which increases range and decreases Handling Speed, Particle Repeater, which increases Stability, The Scientific Method, which increases Speed and Handling after dealing damage to an enemy, and Composite Stock, which slightly increases Stability, and slightly increases Handling Speed. What the perks add up to is a big boost to Range, Handling, and Stability. The Range still isn’t great even with these, but the Handling and Stability make up for that. You can be incredibly accurate with Tractor Cannon when you need to use it, and that might make the difference between a kill and being killed, particularly when you think about the advantage of the Void debuff. Ultimately, I can’t say that Tractor Cannon is the best Exotic Shotgun, because we all know it isn’t. There’s no point comparing it to the others, but I will say that the Exotic perk is probably one of the best of all Exotic weapons. 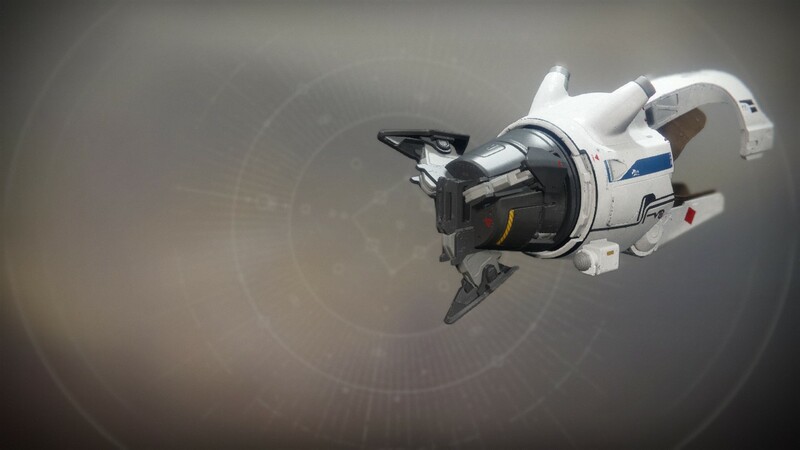 With most Exotic weapons you have a perk that increases a specific trait, but there are some, like Tractor Cannon, that completely change what a weapon is used for. In Tractor Cannon a Shotgun has gone from being an overpowered finishing weapon, to a way to give your melee and grenades an advantage in close quarters situations. I really like this weapon and how it can change the expectation of enemies in the Crucible, but it’s just not the best at the end of the day. Let us know what you think in the comments.